What do most people think about when they think about â€œCharlottesvilleâ€? The Downtown Mall? It’s in the City. Monticello? That’s in the County. So’s the Rotunda. And John Paul Jones Arena. Know what doesn’t get shared effectively or efficiently? Planning how to get from Darden Business School to the Downtown Mall. Absurd, right? 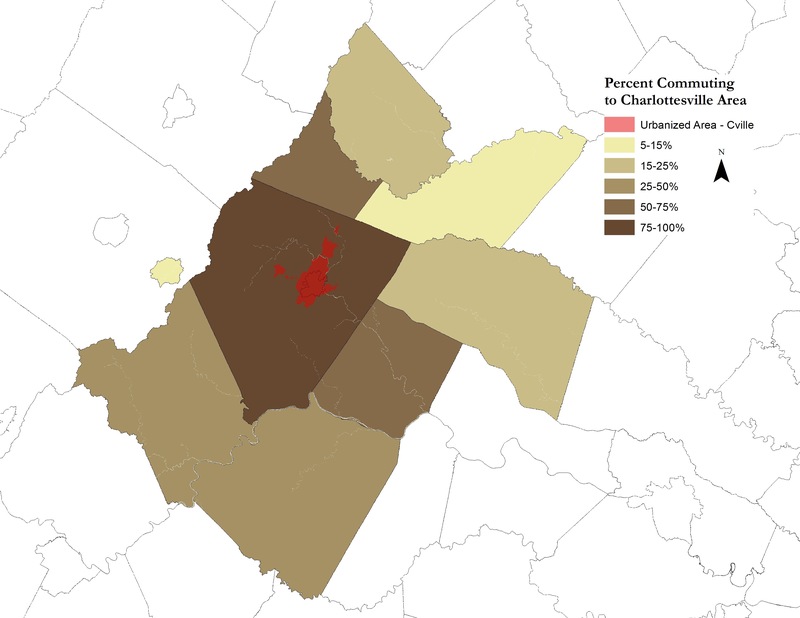 Ever wonder about the differences in urban planning in Charlottesville and Albemarle? I’ve often likened the relationship between City of Charlottesville and the County of Albemarle as that of estranged parents who get along just well enough to feed their kids. Most of the time. Sean Tubbs at Charlottesville Tomorrow writes a must-read piece this week – One community, two approaches to urban planning in which he delves into the disparities between the City and County in population (the County has a lot more people), funding (the City has a lot more to work with) and ability to plan and implement said plans (the County is at a significant disadvantage to the City). To guide that growth, the county has adopted four master plans that cover the U.S. 29 corridor, Pantops, Crozet and the Village of Rivanna. However, the county’s proposed capital budget identifies no new funding to implement projects called for in those plans. For instance, one item that will be deferred is a long-awaited small area plan for the intersection of Rio Road and U.S. 29. On the other hand, the Comprehensive Plan adopted by the City Council last year calls for small area plans, two of which are currently underway. They are the â€œstrategic investment areaâ€ in central Charlottesville completed by the firm Cunningham and Quill and the $340,000 streetscape of West Main Street. The city’s proposed capital budget also includes $2.1 million in the next year to begin implementation of those plans. â€œThat’s money for design for whichever projects we decide to move forward,â€ said Jim Tolbert, the city’s director of Neighborhood Development Services, at the council work session. He said this could include street improvements or work to begin daylighting Pollocks Branch, a creek running underground near Friendship Court and the Ix warehouse complex. â–ª The County and City mutually agree to cancel or change the agreement. It wouldn’t make sense to build part of a road designed to provide access to and from one and stop it at the border of another, but that’s just what has happened with the Meadowcreek Parkway. Know who gets â€œplayedâ€ in the argument about water between the City and County? The citizens of both. We’re in this together . The City and County need to cooperate – on urban planning, on fire fighting services, police, schools, traffic, water and sewer. Most people to whom I speak agree that the divisiveness that exists between the City and County is unhelpful and counterproductive, but solutions are hard to come by. Professing cooperation doesn’t seem to be a campaign platform that bodes well for success. What’s the solution? I don’t know, but I’d love to hear some ideas. It is such a sad state of affairs.